Individualism is recognised as a global mega-trend and refers to the consumers’ growing desire to be recognised as having ‘personal needs’ rather than being part of the ‘mass market’. Today’s demanding and sophisticated consumer increasingly welcomes customised products and services in their aspiration to be treated as an individual, which leaves big brands vulnerable to smaller quirkier ‘unbrands’ who are agile enough to provide a bespoke offer. In fact being a big brand can be a disadvantage as consumers move away from safe, consistent brands in favour of seeking out the unique products and services that nobody else has. In a saturated consumer market, personalisation and customisation are benefiting producers looking to differentiate their offering. Brands are actively seeking out ways that allow their customers to personalise a product or service and make it bespoke to their individual needs and requirements. Big brands, such as Mini, Levi, Coke, Nike, Apple and Vistaprint, have all done this by using ‘mass customisation’ methods, where customers select from a range of options to build their own perfect product, which encourages ‘ownership’ of the product before purchase, with the advantage of shifting the buying decision from price to other benefits. Information collected during the purchase process is then collated via the CRM database which enables more customised marketing messages via channels such as email. Luxury brands, in particular, must take bespoke experiences to the next level in order to stand out. Offering high value customers the opportunity to design some of the core elements of a product will become a powerful differentiating factor. In turn this will balance the power back to the brands, as customers will aspire to be considered valuable enough to gain preferential access. Technology has played a major role in this trend, making it easier for brands to offer online design tools which are easy to understand, and to fulfill orders for customized goods in a timely, efficient manner. And now with the advent of the 3d printer, there is the potential to create a new more efficient business model for bespoke design and personalised products. 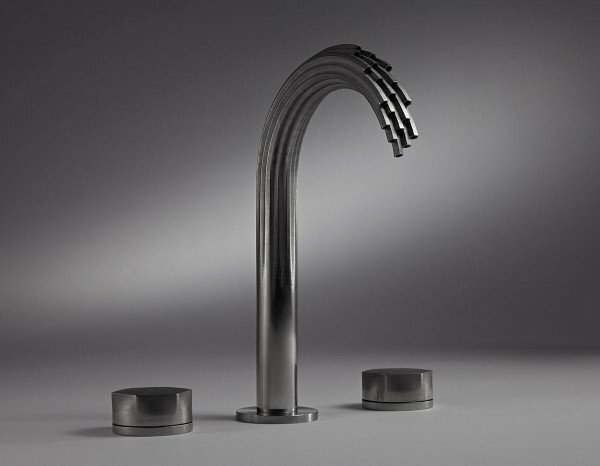 A pioneer of this technology is American Standard Brands, who have already launched the first ready-for-market, fully working taps created with a 3d printer.